mStation is shipping its 2.1 Stereo Orb ‘Colors’, 2.1 speakers systems designed to compliment the new Apple iPod nano line of MP3 players. The Orbs are available in Pink, Green, Blue, and Silver, as well as original Black and White. 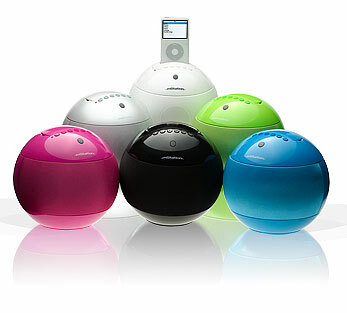 The iPod Docking Station/Speaker Systems offer a 3″ Subwoofer, 10 Key Remote, and can play audio from iPods and other line level sources. The mStation line is available now for $129.95.